Sebastian works across disciplines in film, video, theatre, print and online as a writer, director, performer and producer. He has written several stage plays, among them The Power of Love (Southwark Playhouse), Love Hurts and Time After Time, which together now form the Love Trilogy and each of which individually reached the shortlist, long list and final ten respectively of the Verity Bargate Award (UK) in separate years, Elder Latimer is in Love (Arcola Theatre), Top Story (The Old Vic Tunnels) and The Sonneteer (Edinburgh Festival Fringe). He also wrote the libretto for ICON (with music and lyrics by Jonathan Kaldor), which had its American premiere as an invited production at the New York Musical Festival 2016. Sebastian has written and directed two short films, and his debut feature, The Hour of Living, was nominated for the Basel Film Prize (Switzerland), and has since been screened at festivals in New York, Australia and Italy. Sebastian is the author of the novel Angel and a contributing author to A Quantum City (Eds. Hovestadt/Bühlmann; Birkhäuser, 2015) with Orlando in the Cities, a playful literary odyssey through 2500 years of Western Civilisation. He is also the writer and, together with Ludger Hovestadt and Vera Bühlmann, co-author of A Genius Planet, which postulates a networked energy model for the Digital Age (Birkhäuser 2017). The Snowflake Collector, a poetic picture story book for grown ups, published in December 2016, originates from his ongoing online project EDEN by FREI – ‘a concept narrative in the here & now about the where, the wherefore and forever’ (at www.EDENbyFREI.net). 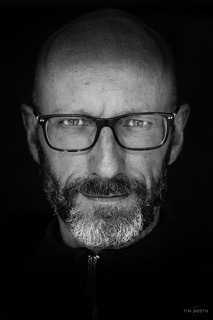 As a freelancer, Sebastian has written concepts, scripts and treatments for numerous shows, multi-media presentations, brand experiences, experiential training programmes and project-winning pitches, and written, produced and directed video content, for HP, Vodafone, Barclays, Xerox, Motorola, Panasonic, the Royal Navy and the NHS Leadership Academy, among many others. Sebastian lives in London and goes wherever his projects and work take him.